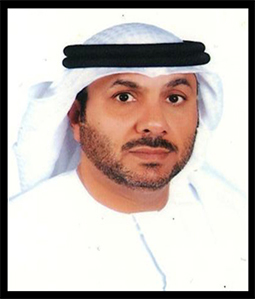 Mr. Hassan Matar Al Reyami- a well known practitioner in the United Arab Emirates, graduated from the Faculty of Law in the United Arab Emirates University (1989). Since then he is a duly registered advocate in the country; Apart from obtaining his law degree, he achieved a Diploma in Information (1997) and attended several courses with the Ministry of Justice (1989 to 2004) and Administrative Development Institute. He is also currently pursuing a Masters in Business Administration degree from United Arab Emirates University. With his humble beginning as full time law practitioner, he was able to obtain various legal consultancies in the region, with specialization in the field of contract drafting, negotiations, arbitration, company establishment, trade mark registration, civil, commercial and criminal law.